1. Primark ballet pumps- First stop was Primark and I headed straight for the shoes as my pumps have been looking a bit tatty lately but I don't really like to spend too much on basic flats. I was really excited to find these cute ballet pumps for only £4 so picked them up in pink (so I can walk around casually feeling like a ballerina) and black. 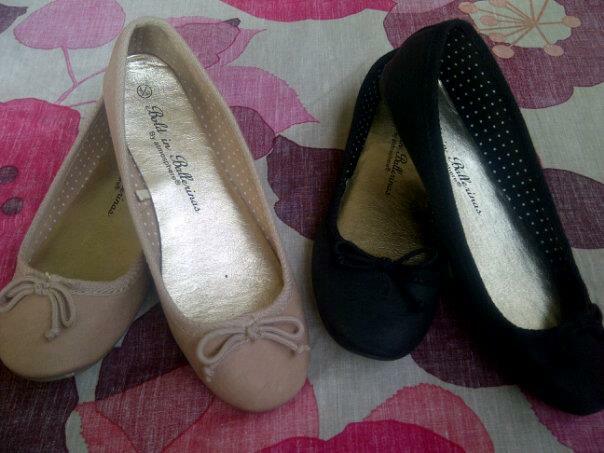 The size fours fit nicely and are also not too structured so actually look like ballet slippers which I really like. 2. 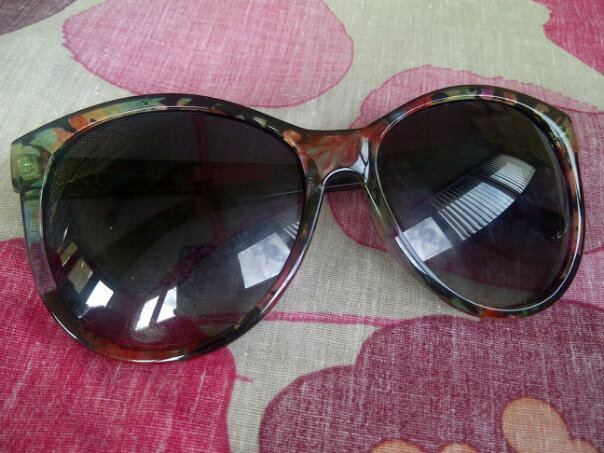 Primark sun glasses- My trusty New Look sunnies broke when I was in London last week after I shoved them into my bag unprotected one time too many so I also got these cute floral sunglasses from Primark to replace them. They don't make me look like a fly (always a bonus) and were only £2 which is great as I don't like spending too much on sunglasses as chances are I'll just sit on them or lose them! 3. 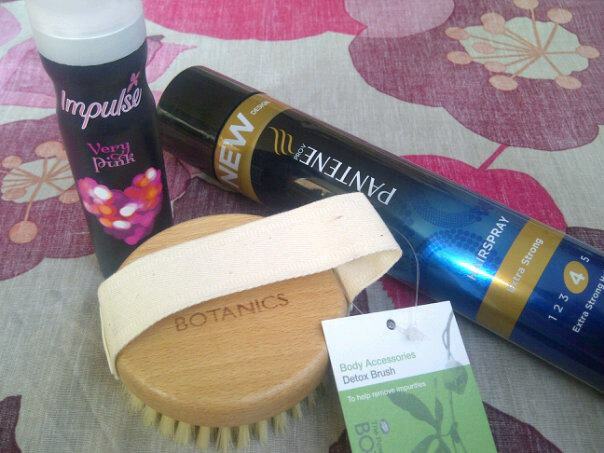 Boots goodies- Next I just got some boring bits from Boots...Pantene hairspray that I love because it's the only hairspray I've ever tried that smells gorgeous and my standard Impulse 'very pink' body spray which I've bought like a million times because it also smells amazing. I also got the Botanics body brush from Boots because I'm getting my legs out quite a bit at the moment and dry body brushing is supposed to clear impurities from your skin, aka banish any dreaded cellulite! So I'll give that a whirl and let you know if it works. 5. 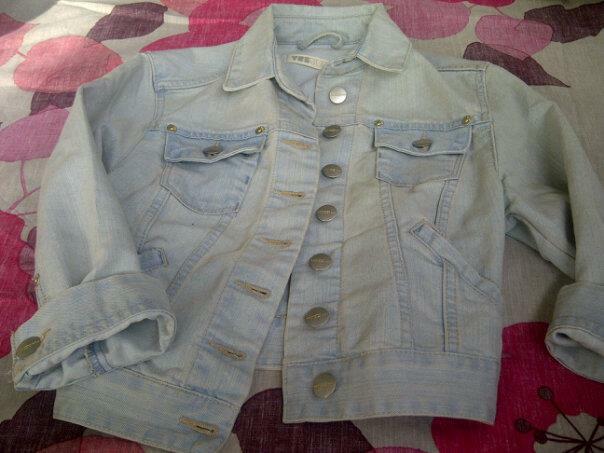 New Look denim jacket- The last thing I got yesterday was this cropped denim jacket from New Look. A nice denim jacket has been on my wishlist for ages as I'm forever wearing my Miss Selfridge denim shirt as a jacket but sometimes it's not quite smart enough, so when I saw this jacket in the perfect pale colour and for only £17.99 (even less with student discount) I knew I had to get it and I can tell it's going to be one of my summer wardrobe staples from now on! the Olympics tonight, I can't believe how well we're doing at the moment (yay Murray!) and I'm looking forward to seeing Bolt in action tonight too. 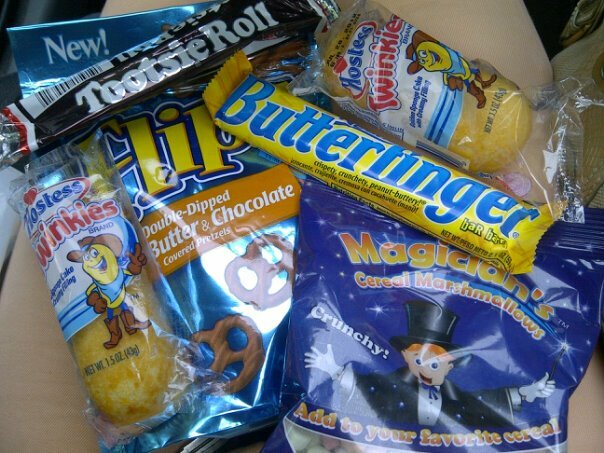 Great haul- and very jel of your sweeties too. 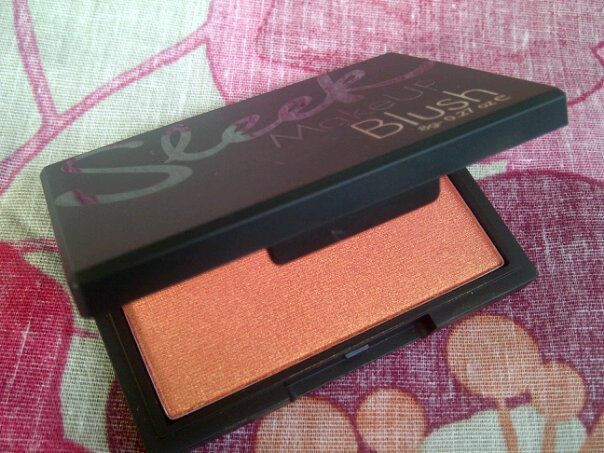 Looking forward to the blusher review, I'm looking for a new perfect blusher - which fits in with an unemployed budget! I love your blog!! 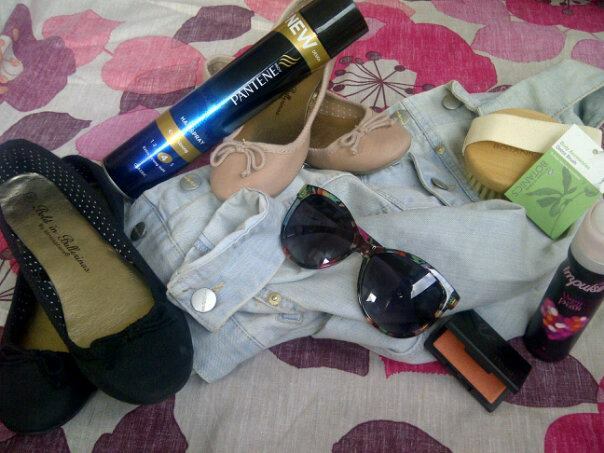 I def am on a budget as on maternity!so am following you for fab ideas! thanks so much for the inspiration!